Nope. Evidently this isn't about Jesus Christ. It isn't about the fulfillment of God's promise through Immanuel. It isn't about the hope that we have in Christ. Is it that Obama has a Messiah complex or is it that his "followers" think he is the Messiah? 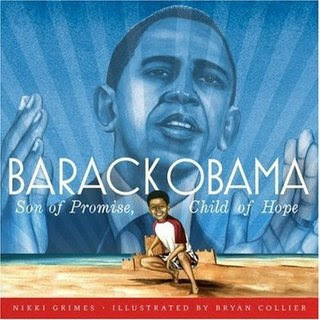 Here is a quote from the Amazon.com Editorial Review: "Barack Obama has motivated Americans to believe with him, to believe that every one of us has the power to change ourselves and change our world." I don't know about you, but I think this is very, very scary.